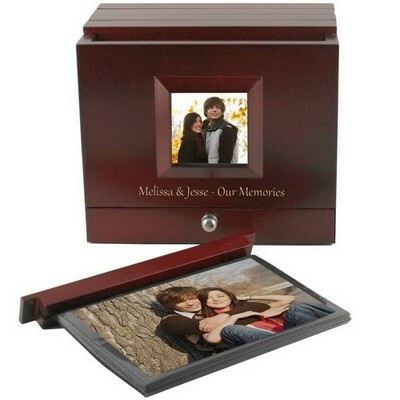 Choose a unique photo album gift for special recipients with our impressive black leatherette photo box. 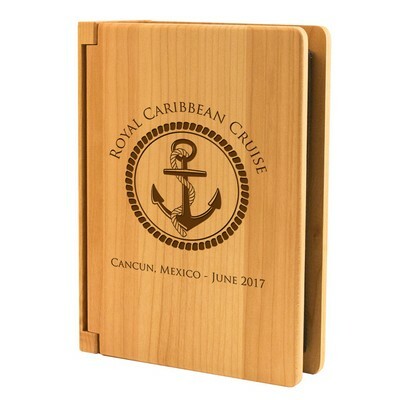 Truly distinctive, this innovative concept in photo albums features decorative stitching around the perimeter of the box lid, as well as on the closure. 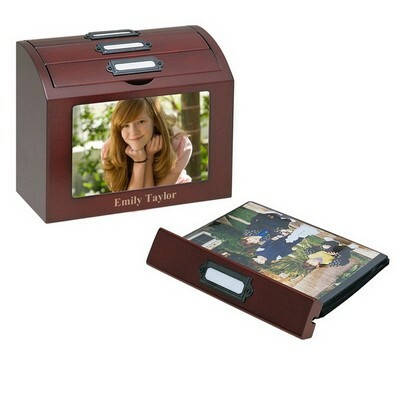 Box for storing pictures also features a photo frame made directly into the lid, giving it added distinction. 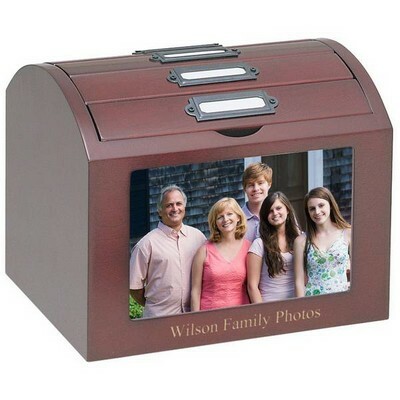 Personalize this photo box gift idea to create a truly memorable gift. 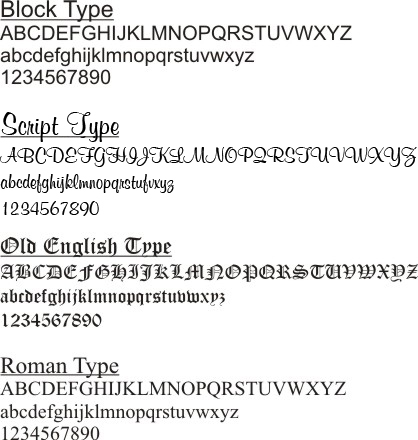 Include recipient's names, initials, or a brief message. 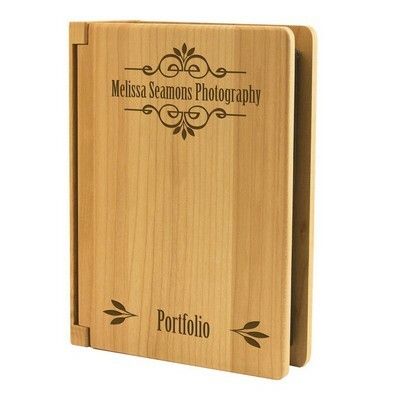 Also makes an outstanding photo album gift for including your company name and/or corporate logo. 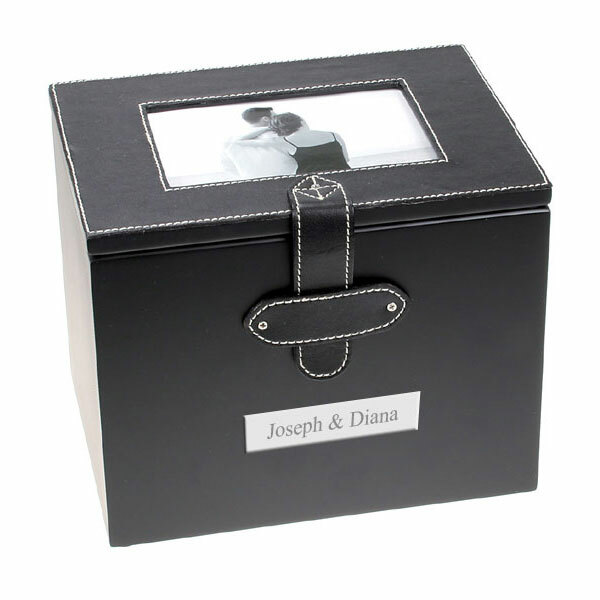 Your sense of originality will ensure your black leatherette photo album box is well received and highly treasured. 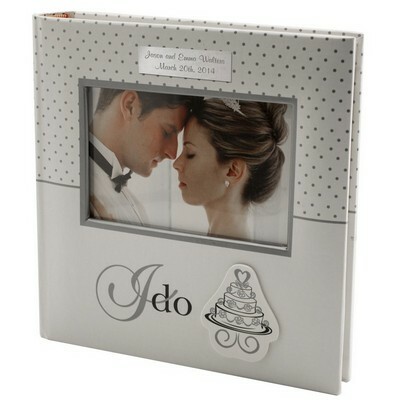 White stitched leatherette photo album box is 7-5/8" x 5-3/4" x 6-1/4 in size and holds 144 4" X 6" photos. Lid holds one 4" x 6" photo. 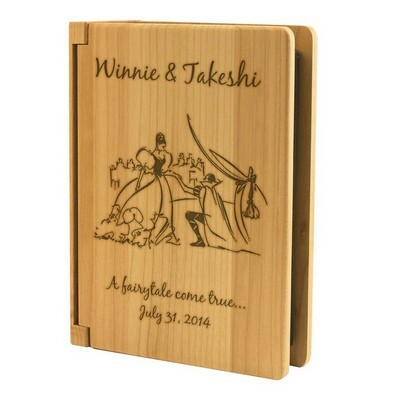 Personalize this gift with up to two lines of text. Comments: I bought this as a birthday present.great product, great service.I will use this site again. 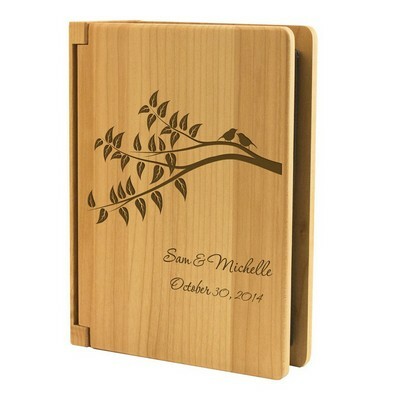 Comments: I ordered the photo box for a shower gift for my daughter in law to be, so I can fill it with pictures of my son. That way she will always know what he was like growing up. The box is made very well & the engraving plate is a nice touch. 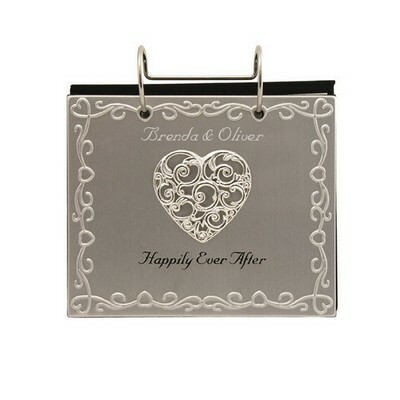 Shopping on the website was very easy & secure & it was shipped sooner than expected. Comments: This is such a special gift. The box is beautiful, as well as the engraved plate. It's well made and I couldn't be happier with y purchase. "Black Leatherette Photo Album Box with White Stitching"
Comments: Needed a box to store all my old photos and luckily found the perfect one. I love the white stitching on the black. It goes very well with my room decor. I like it even more that my box is engraved with my last name. Its a nice item. Comments: These are such great gifts! I get these for all my friends and they love displaying them in their family rooms. I will be back for more!